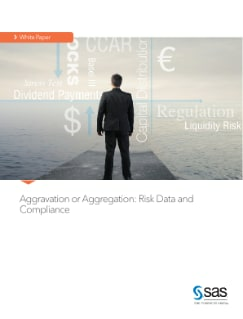 The Basel Committee on Banking Supervision’s BCBS 239 principles aim to improve risk data aggregation and reporting capabilities. But they also set a challenging agenda for banks in terms of improving IT infrastructure. Research firm Lepus surveyed 27 major financial institutions worldwide to explore the initiatives undertaken to comply with BCBS 239. In this paper, analysis of this research covers BCBS 239 compliance initiatives, risk data solutions, risk data aggregation, the current state of process automation, and future outlook and current progress of compliance projects.